A monthly forum organized by YES Philippines aims to help young entreps market their newly-established businesses using the social media. The event also serves as an opportunity to expand participants’ networks through interaction with other business owners and marketing gurus. 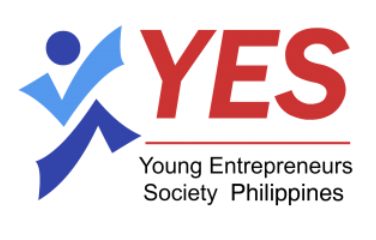 <>The Young Entrepreneurs Society (YES) Philippines held its monthly networking forum last August 22, 2014 (Friday) at the Ecotower Building, Bonifacio Global City in Taguig. Young entreps and entrepreneurship college students were treated to a discussion on the basics of marketing and business administration. The latest trends in online and digital marketing, as well as the techniques and strategies that can be applied, were tackled during the networking forum. The attendees also had the opportunity to get insights from recognized business owners based on their first-hand experiences in the industry. Ndfy.me founder and CEO Glen Macadaeg shared some of the knowledge he acquired (from running his still-flourishing website) to the young up-and-coming entrepreneurs. He also shared some tips on how to effectively market a website. Marketing guru Jeric Baluyot discussed some of the fundamentals in marketing a business and its products using the influence of social media. In his presentation, he cited some of the most influential social networking websites in the country today, and how those can be used to attract and retain consumers. He also talked about the importance of using analytics to observe an online site’s traffic and of viewing behaviors to understand what kind of marketing approach the business owner can apply. YES Philippines is an organization of young entrepreneurs that has the common goal of honing the business skills of young potential entrepreneurs and helping them to be successful before they reach an advanced age. The monthly networking forum has become an outlet for the young entreps to establish connections with other young business owners. It has also become a venue for sharing and obtaining tips and advices from more experienced businessmen through a series of engagements, events, and mentorship opportunities.